Hello, hello again! You’ll be happy to know that some projects have finally made their way from limbo into the real world (and then into my “war chest” for next year). The pattern is Ilkley Moor, by Ann Kingstone. I knit it from Malabrigo Sock, in Cote d’Azure. I was worried that the color would be too dark to show the pattern, but thankfully that didn’t turn out to be a problem. 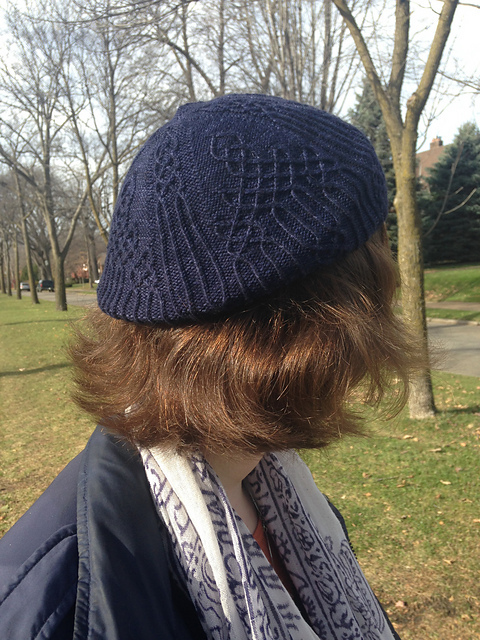 I selected the pattern as it ticked several boxes – lightweight yarn, multiple, complex cables, and honestly, a stunning finished project. Super fun to knit too. 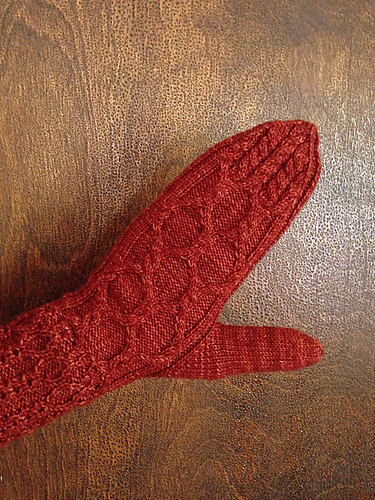 These were another fun pattern – Gallus, by Kristin Kapur. 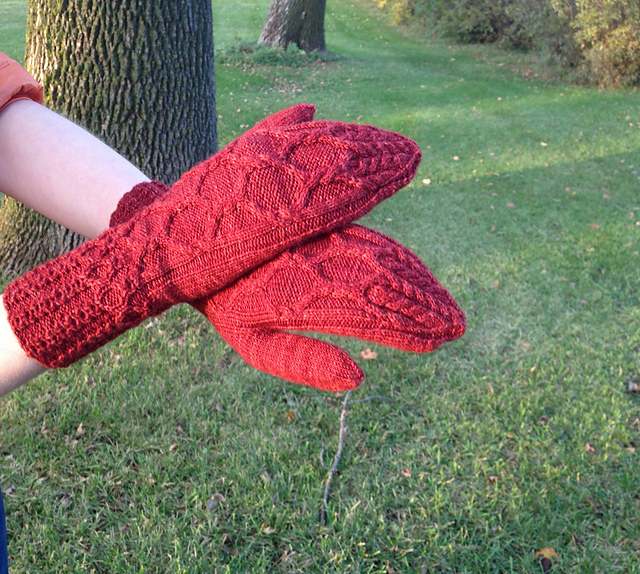 These were also knit from Malabrigo Sock (I might have a problem), in Botticelli Red. They’re definitely a nicer color in person, more of a garnet red than what you see in the above picture. That’s all for now! 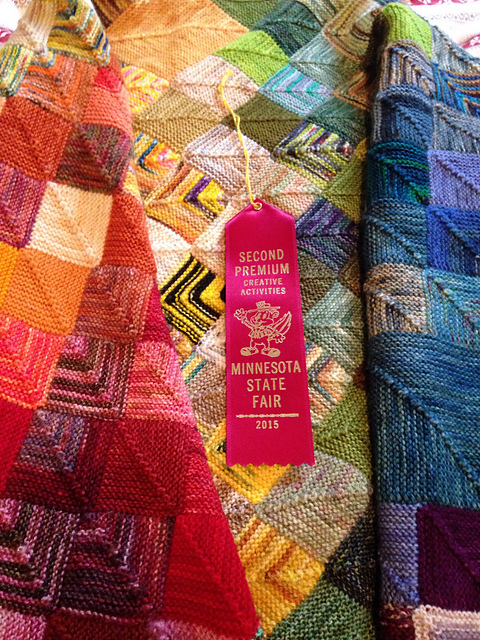 Next time I’ll show you a finished Lot 377, or maybe my progress on Lots 359, 369, or 378.